Will The Number Portability Flop in Nigeria? | McKaff's Blog! Will The Number Portability Flop in Nigeria? With the eventual launch of the long awaited mobile number portability in the Nigerian telecomspace on 22nd April, not few people believe this is the time for the Nigerian mobile phone users to exact their own pound of flesh from the mobile network operators(MNOs) by taking their businesses elsewhere yet retaining the original numbers. Though, it’s true that the industry regulator, the Nigerian Communications Commission (NCC) had earlier embarked on nationwide awareness programme of the portability scheme, but the video advert released by the market leader, MTN, of the popular Saka porting to the Y’ello network might be more descriptive and attractive. As the sound of the launching drums and the guitars started to fade anyway, porting requests started rolling in (You can actually check here if that number is ported) and the reality dawned on all the stakeholders. One of the goal of the scheme is to deepen competition among MNOs, and surely we shall soon see products, services and practices designed to tie subscribers more to their current network. (Read “Winning The Mobile Number Portability War“). All of a sudden, I started to wonder whether this service will succeed or flop. Even though the NCC is believed to have dotted all the i’s with respect to preparation, implementation and testing; we will soon see whether all the t’s are crossed. How do we measure the scheme’s success then? Assessing a couple of countries where the service have been launched, we may be able to project the success of the scheme here going by the correlation of the concerned factors. It is noteworthy that the annual porting rate in many economies, especially those prepaid based like Nigeria, ranges between 2.5% and 5% of the active lines. So, Nigeria with about 111 million active mobile lines may be having an average churn of 3.3 million lines. Can we therefore say the number portability flops if the NCC does not record about 3 million porting requests? Or going by the NCC’s objectives, that if the MNOs got driven to adopt robust competition, low tariffs, excellent customer service, above par quality of service, and as such succeed in dissuading the masses from carrying multiple lines; all these regardless of the number of porting requests, then the scheme has succeeded? It is also worthy of note that it has been observed that in those countries where the technology has been really successful, the porting time has been made very minimal. Where ever the porting process is less than 24 hours, portability has been seen to succeed. NCC has chosen 48 hours (2 days) for the completion of porting process, when in the first month of Ghana’s launch of same MNP, more than 67% of porting requests were completed within 4 hours of initiation. In fact they had a record of one 1 min, 10 seconds—NCC beat that. The psychology is such that people are expected to warm up to a service the quicker it is rendered; take their time and frustrate them in the process and they shun your service. India and Kenya are another countries opting for the 48+ hours of completion; and the service is said to be on the deathbed in the 2 countries, especially Kenya. Therefore, should that 48 hours become the norm rather than the set upper limit, the portability clearing house should kiss their investment “good bye”. Nigerians do not have the patience of going to outlets to fill forms and have to wait another 48 hours to enjoy the service. Another subtle note is that it has been observed that multiple SIM/phone ownership often debar the success of MNP, and that is an existing phenomenon in Nigeria and Kenya much unlike Ghana. It is true that one of the objectives of NCC is to reduce the concept of multiple SIM ownership, but it may take some statutory measures to achieve that becomes the 90 days lock-in period (after porting – just like in India) is a duration many are not willing to endure. Noting that virtually all the operators sometimes run into glitches thus give no service or sub-optimal service, 90 days may be too much a sacrifice. In fact, many are already terming it unreasonable to have 2 SIMs, using each as situation warrants, and then going ahead to port into the second network for whatever reason and thereby locking themselves up for 3 months. Finally, if each of the operators should bring forth sets of “out-of-this-world” value added service, much like the mobile money was used in Kenya, churn will be tamed and number portability can actually rest. Little wonder NCC did not really take the CBN up on the issue of mobile money, they “did” not want operators to use it to tie subscribers when the time for MNP comes. So, it is true that number portability is dragging in India, and on the deathbed in Kenya, flip flopping in Malaysia; but it has been seen to work relatively smoothly and assuredly in Brazil (in spite of the population) and Ghana. That the service will succeed in the Nigerian context therefore, will be seen in the momentum of the uptake by the end of the third month after launch. Whichever way, the operators will necessarily be on their toes and the subscribers will be better for it. 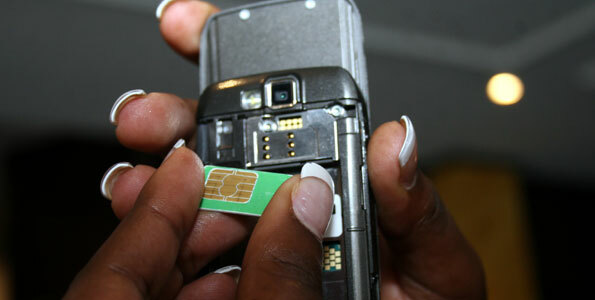 Share your thoughts on the feasibility of the number portability in Nigeria by dropping your comments below. This entry was posted in Business, Technology, Telecoms and tagged airtel, glo, globacom, mnp, mnp ghana, mnp kenya, mobile number portability, mobile number portability in nigeria, mtn, mtn nigeria, ncc. Bookmark the permalink. 1 Response to Will The Number Portability Flop in Nigeria?